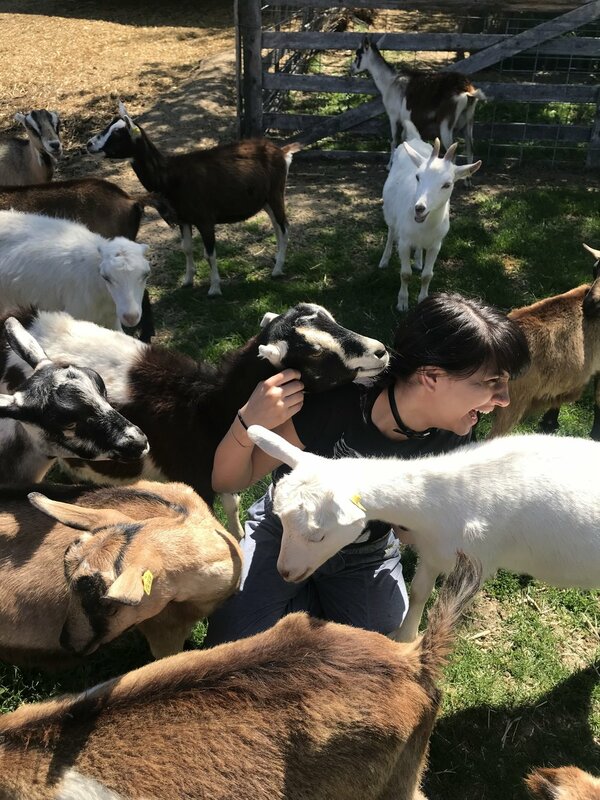 Yoga and Goats and Jobs Oh My! Savannah is feeling the love. We're fully underway at BYEP after reconvening last week with a couple of fun (and rather adorable) adventures, as well as getting back into the swing of things at workshop. All of our Crux groups are preparing for big summers of community service and job placement. Our 11th grade participants began their adventure season by building trust with each other through acro-yoga. There were tons of smiles, laughs, awkwardness and successes in learning a new way to exercise. In workshops this week all of the 11th grade crews focused on group culture and how they can continue to grow together through the next year and a half of their BYEP experience. The soon to be senior participants practiced their shepherding skills at the Amaltheia Goat Farm. This was undoubtedly one of the cutest Sundays of their BYEP careers. It seems as though its impossible to keep a smile off of your face when surrounded by hundreds of cuddling goats. In workshop this week the participants took their first step towards employment through BYEP's Summer Works Program. They were presented with opportunities to work at Spark R&D building snowboard bindings, landscaping with The Cannery District, cooking at Montana Ale Works, roasting coffee at Treeline Coffee Roasters, as well as many more. Its incredibly exciting to watch all of these participants continue to take steps towards self-sufficiency throughout the summer. Thanks for checking in with us, we look forward to sharing the rest of our summertime activities moving forward!